A medium-sized, twin-engine helicopter, the AW139 can carry up to 10 passengers at very high speeds. 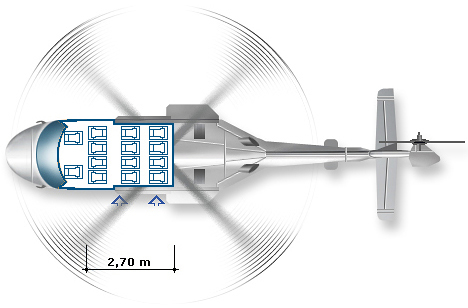 It has one of the most spacious and comfortable cabins of all helicopters on the market. There is plenty of baggage space, which can be accessed from inside or outside the cabin, making it suitable for a variety of needs.